Families are invited to participate in unique artist-designed hands-on art-making activities that highlight contemporary Native arts. The IAIA Museum of Contemporary Native Arts (MoCNA) welcomes families and children of all ages. Programs during the event are geared towards K–5. A food truck is scheduled to be onsite, plus the Museum Store is offering a 20% discount off of all children’s items. For more information please contact MoCNA Membership and Program Manager Andrea R. Hanley (Navajo) at (505) 428-5907 or ahanley@iaia.edu. 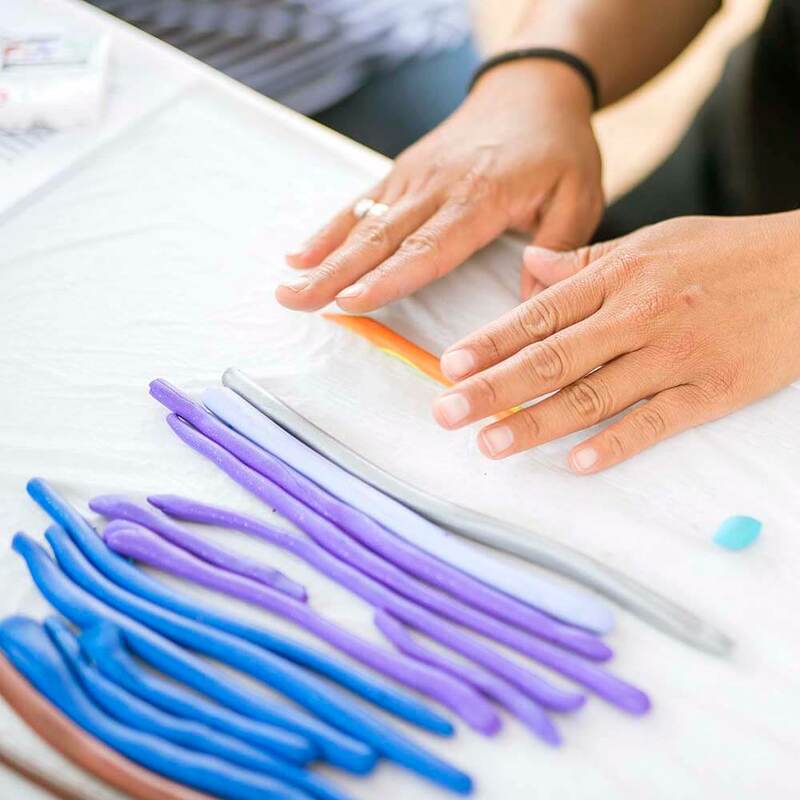 1–3 pm Join Native artists David Gaussoin (Picuris Pueblo/Navajo/French) and Connie Tsosie Gaussoin (Picuris Pueblo/Navajo) in a clothing up-cycle project! Children will work on a fashion-based project and are encouraged to reuse, recycle, revamp, and repurpose their old t-shirts or clothes. Please make sure to bring in at least one piece of clothing that a child can work on. A family scavenger hunt with treasure chest prizes will also be led by MoCNA Docents. 3–4 pm Snacks available for children plus innovative performances by Native American youth hoop dancers from the Lightning Boy Foundation. This event is free for families and is supported in part by the Santa Fe Public Schools Native American Student Services.